Americans have corn mazes, and in Japan, the town of Inakadate has rice paddy art. By planting several strains of rice in the same field, they create these colorful images, like this Star Wars scene. Bonus: the latest Godzilla art. 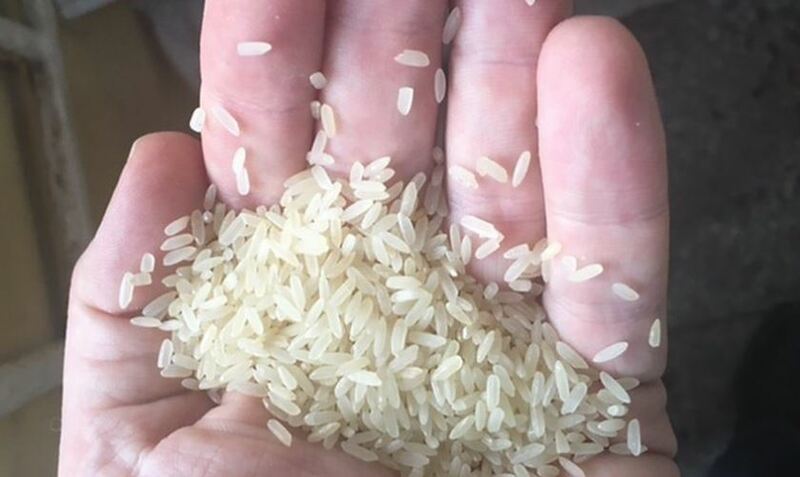 Fake plastic rice—totally convincing by sight, but potentially lethal to eat—has gone from urban legend to horrifying controversy in Nigeria, where a shipment of the stuff was intercepted and is undergoing tests. Is it plastic, or just really weird rice? Somehow everything's gotten murky and confusing. Nigeria's food safety agency has denied claims by the health minister that it has cleared the reported "plastic" rice. A senior official at the National Agency For Food and Drugs (Nafdac) said the minister's Twitter statement "is not their position". Health Minister Isaac Adewole had tweeted that tests by the agency found "no evidence" of plastic material ... [but Latgos Customs Chief] Mr Mamudu had said the rice was very sticky after it was boiled and "only God knows what would have happened" if people ate it. Two and a half tons of "Best Tomato Rice" were seized and it's not clear if any has reached markets and stores. Tests should be complete in a few days. "Whoever made it did a remarkable job," says the BBC's Martin Patience. "It feels like rice, the texture is amazing, but when you smell it, there's something not quite right." I wonder if this is a symptom of the way commodities trading works. No-one doing the buying and selling ever gets near the goods, making the supply chain vulnerable to man-in-the-middle attackers adjacent to the source.